Spending the summer working at Stuart Island is beautiful. 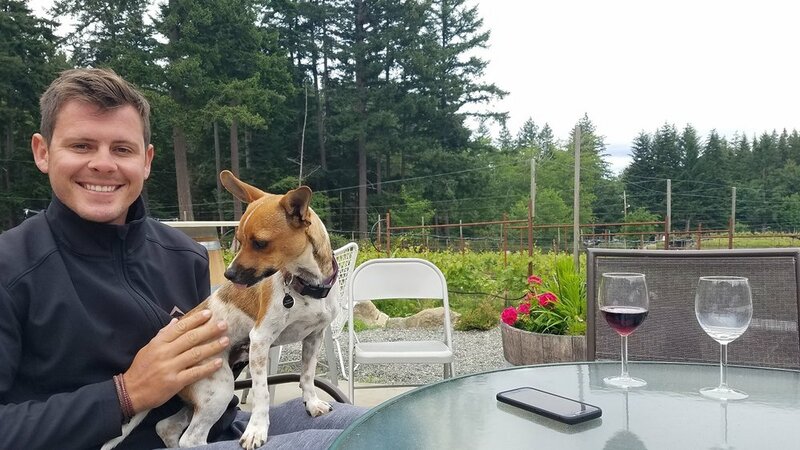 There are bald eagles soaring through the air, sea lions barking across the way, and deer greedily nibbling on the island’s flowers. However, when it comes to time off you are pretty much stuck there because it is so remote. We got lucky though, and were able to take a long weekend away and hitch a ride. We got dropped off at Campbell River but decided to hop on the next ferry to Quadra Island. We weren’t sure what to expect, but we were ready for a quiet weekend in the woods, cuddled up with warm mugs of tea and a good movie. 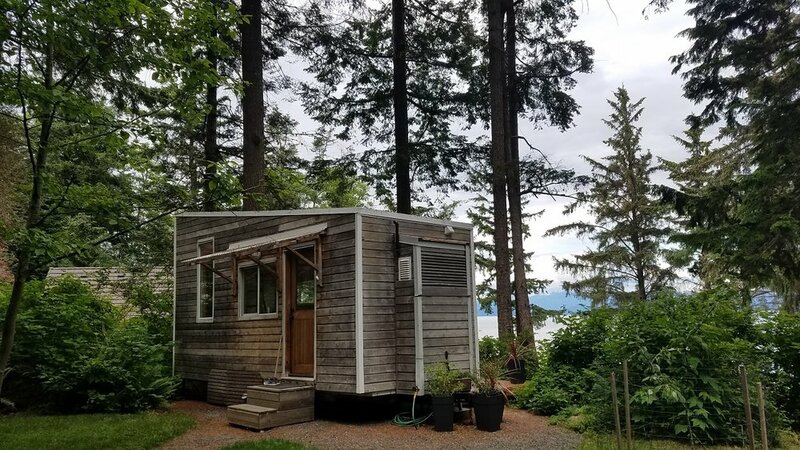 It may seem like there isn’t much on Quadra Island. But with a few tricks, we think you will have just an amazing time as we did. There are two tiny grocery stores on Quadra Island (Tru Value Foods) and though they are well stocked with everything you could possibly want or need, they are a little pricier than it would be in Campbell River. The island is much larger than it seems and it’s quite spread out. There is a taxi service on the island, but there are only two drivers and they rarely drive at the same time, plus its super expensive, a 10 minute taxi ride costs $20. So things like grocery shopping become an expensive ordeal. You can rent bikes both on the island and in Campbell River, but expect to pay $40 to $50 a day. It might be worth renting a car in Campbell River and taking it over on the ferry if you plan on exploring quite a bit. However, the island is very hitch hiker friendly so we met some wonderful people and made some furry friends like Sparky. Mount Seymour and the Chinese Mountains hikes are supposed to be incredible, but since we didn’t have a car, or bikes, we didn’t want to pay the taxi fee to get there and back so we just did some smaller hikes on our side of the island. But if you have transportation there (or are staying more centrally located) then it is a no brainer. It’s as charming as it is tiny. It’s secluded and quiet, the only sounds you will hear the birds singing and water gurgling. Plus, it is a short walk from the island’s winery—need I say more? It’s a tiny little market with fun crafts like alpaca slippers, salmonberry butter, and homemade goat’s milk soap. There’s a man who sells his own private book collection and some delicious looking baked goods. It’s a lovely way to spend a Saturday morning while sipping one some coffee. One of my favorite movie quotes is from Six Days Seven Nights when Harrison Ford says, “It’s an island, babe. If you didn’t bring it here, you won’t find it here.” This is so true to the little island of Quadra. Whatever you bring to island, is what you will get out of it. We wanted a snug weekend away, with lots of time to read, write, and cook (we only set off the smoke alarm once) and that is exactly what we got. Just an hour and half north of Vancouver is Whistler, a winter wonderland and skiing paradise. Like most good stories, the journey is better than the destination but in this case I am not sure which one was better. The drive up to Whistler is a jaw-dropping one. With the coast on one side of you, rich forest on the other, and snow capped mountains in front you, be prepared to pull over at every at every rest stop just to take in the raw beauty. You’ll pass quiet towns like Squamish, thunderous waterfalls, and even a gondola on this exceptionally scenic drive up to Whistler. Whistler has a history as pure and beautiful as the town itself. The Coast Salish First Nations people lived in the area for thousands of years, living off the land and its resources and using it as a trading point. In the early 1900’s, European trappers named the area Alta Lake but it was quickly changed to Whistler because of the shrill whistle the hoary marmots made living in the area. The rumored beauty of the area quickly got out and in 1914 a fishing and mining lodge opened up and the rest was history. The natural beauty and recreational abundance of Whistler led it to hold the 2010 Winter Olympics and it is now an international sensation. People come from all over the world in every season to experience what this tiny town is all about. Though we went out of season, in the summer months, the town was still buzzing with excitement. The ski lodges were open and the gondolas where running. With your own ski equipment you can still catch some of the last little bits of snow on the top of the mountain or just enjoy a scenic ride to the top. We stopped for lunch at Dusty’s, a casual eatery just a short distance from the central part of town to enjoy the view and soak up some sunshine. The food at Dusty’s was amazing. It was exactly what we were looking for and it must have been our lucky day, because that week the restaurant was doing a 40% off the entire menu. So needless to say, we didn’t hold back. We got some yam fries to share and I stuffed my face with the best vegeburger I have ever had. We chatted to our lovely waitress, who had moved there all the way from Australia, and she told us stories of their friendly neighborhood black bear that came down every day to say hello to the skiers and snowboarders. Unfortunately, we missed him that day but we promised we would be back so we could say hello. The town is tiny, but it has everything you could need and more. There are little shops, boutiques, and enough restaurants to keep your belly full. We wish we could have seen it in peak season, everyone bundled up in puffy jackets and fuzzy ear muffs riding around town on their skis, but now that we had a taste of the idyllic town, we know we will back for more in the winter months—ski boots and all. After coming from the quaint town of Victoria, Vancouver was quite a shock. Whereas Victoria is tea parties and croquette (probably), Vancouver is her grungy cousin that wears combat boots and drinks nothing but local taps—but he’s way cooler than she will ever be. We started in Gastown. Gastown is where cool coffee shops and hip boutiques collide under leafy green trees and brick sidewalks. One of my favorite bars was Six Acres. It’s a cozy two story bar with ivy growing along the exposed brick walls and old creaky furniture helping to set the ambiance. Go for an aperol fizz and give the classic Canadian poutine a try. Poutine is Canada’s national dish and it’s a meal in itself, it is gravy, cheese curds, and onions smothered on goldenly crisp French fries. Gone vegetarian? No problem. Head over to Meet in Gastown and gorge yourself on their amazing vegetarian and vegan menu. Sitting just outside of Gastown is Chambar. Rule #1 at Chambar is: don’t leave without trying one of their Belgium waffles. They’re not quite like normal waffles, they are a little denser and they come with amazing topping choices like lavender milk chocolate, white chocolate pistachio rosewater, or fig orange marmalade. Pair it with their Bon Matin smorgasbord that comes with prosciutto, brie, sourdough toast, and a soft boiled egg to offset those sweet waffles. Our next stop was Granville Island. They have an amazing market that is open every day and around the market are all sorts of eclectic shops selling everything from artisan pottery to Canadian tea towels. You can take the Aquabus there and back or if you’re feeling active you can ride your bike over the bridge. 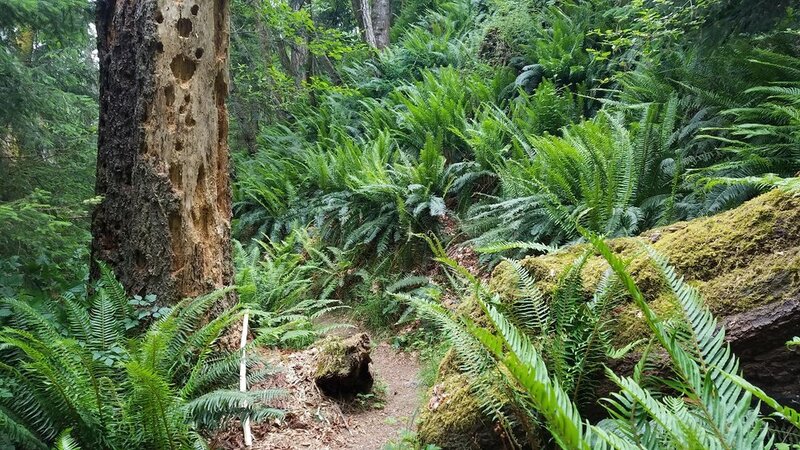 If you’re really feeling up for a bike ride, Stanley Park is a beautiful oasis away from the hustle and bustle of the big city. Here you can breathe in some fresh air, take a walk on the sea wall, or have a picnic on the pristine green lawn. There are even horse drawn carriage tours if you’re a bit of a romantic. Another one of our favorite spots was The Cactus Club. There are a couple in town, and each one has an amazing view. Whether you want to be facing the harbor and watch the sea planes take off or sit on the patio at the public beach, the cactus club is place to be. With a touch of lemon and elderflower, the rosé slushy (also known as frozé) is perfect for a warm Vancouver day and pair it with their renowned prawn, butternut squash, and truffle butter ravioli to send your taste buds over the moon. I would be lying if I said I wasn’t a dessert person, so naturally, we ordered dessert. We opted for the chocolate peanut butter crunch bar with caramel sauce and chocolate pearls and we had no regrets—not a single one. We were located in Coal Harbor Marina, in the heart of downtown so it was walking distance from everywhere we wanted to go. One of our casual, everyday stops was Café Villaggio just across the street from the marina. Their coffee is dark and rich and they have a mouth watering array of in house pastries. Their smoked salmon bagel with capers and onions is definitely worth a taste for when you’re on your morning stroll around Stanley Park. Vancouver is definitely a little rough around the edges, and a little grungy down some dark alley ways but the vibe of the city is unbeatable. Don’t expect to go out on a Friday night wearing heels and sparkles, because everyone at the local breweries wearing distressed jeans and 10 year old converse will look at you like you’re crazy. Embrace it for what it is, and don’t be afraid to let out your inner edginess while you’re here. 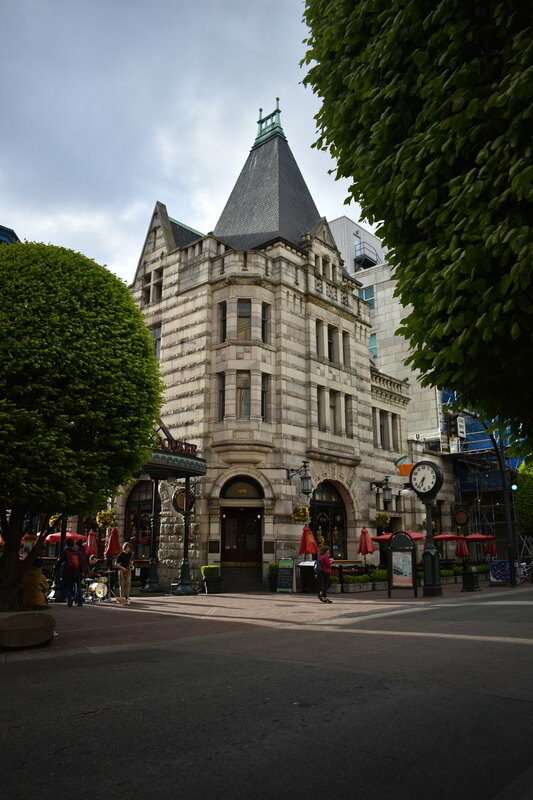 Tucked away in Canada’s beautiful British Columbia lays the second oldest city on the west coast of Canada: Victoria. Victoria is as picturesque as it is charming. It was discovered in 1778 but had native peoples living there long before that and it pays homage to its first nations people’s history as well as its European decent. From totem poles to tea houses, the city is rich with history. Our first day in Victoria was something out of movie. There were sea planes taking off in the harbor and tiny little ferries buzzing around with the Canadian flag whipping in the wind. As we were walking along the promenade, we spot a Scottish man in a kilt playing bag pipes just as a horse drawn carriage went by the Parliament house. The Parliament House looks like something out of Disney movie with its rounded dome and ornate architecture. At night, it is lit up with tiny twinkle lights that make the harbor glisten. The same man who designed the Parliament Building also designed the Empress Hotel which is just down the road. I didn’t have enough time to explore the hotel, but a local friend said that high tea there is lush. One of our first stops was The Time Irish Pub. It’s a classic Irish bar that is in an ornate, historic building. It was a great spot to get out of the chilly weather and warm up with a Guinness and a chocolate brownie the size of my face. Plus they play live music almost every night of the week. The town is littered with tiny boutiques hidden in old buildings you won’t find anywhere else but Victoria. Head over to the Market Square and peruse away. One of my favorite shops was a stationary store that sold leather journals, handmade cards, vintage postcards, and even had vintage type writers so you can personalize your messages. In between shops, make sure to stop at one of the cozy coffee shops and get a Boston cream doughnut. Victoria also has an entire store just for beaver tails. It’s not what you think though, beaver tails are a deep fried pastry (similar to elephant ears in the states) that are topped with just about anything you can imagine. If you’re in the area, going to Butchart Gardens is a must. 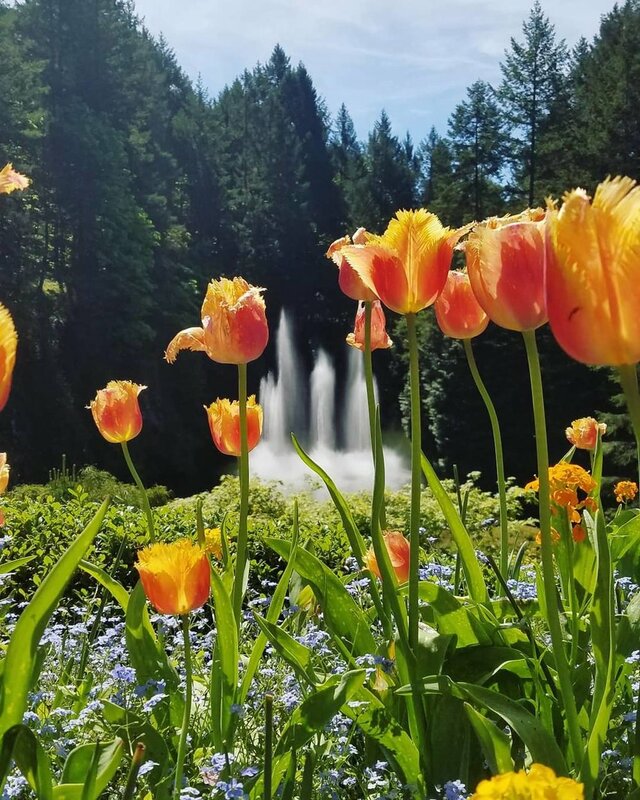 If you have a green thumb, Butchart Gardens will be your own personal heaven. It is over a hundred years old, has over 900 plant varieties, and sits on 55 acres of lush land. From tulips to peonies, you’re bound to see every flower you can imagine. It depends on what season you go, but they design the garden so that no matter when you come, it is in full bloom. I didn’t get to spend as much time as I would have liked in this charming town, but the time I did spend was magical. There is so much culture and life to the city. There are craft fairs and farmers markets on the weekends and museums and theatres for the week days. It might come off as a little touristy, due to the cruise ships that stop there, but once you delve into the city’s richness, you’ll see it has so much more to offer.